← iNSD, New Release, Sale, & Contest! Happy Tuesday everyone!! CT Member Steph and you know what Tuesdays mean at The Digichick right? $2 Tuesday! Without further adieu lets jump right in! There are THREE deals this week. If you haven’t had a chance to add these to your stash yet, this is the perfect opportunity!! 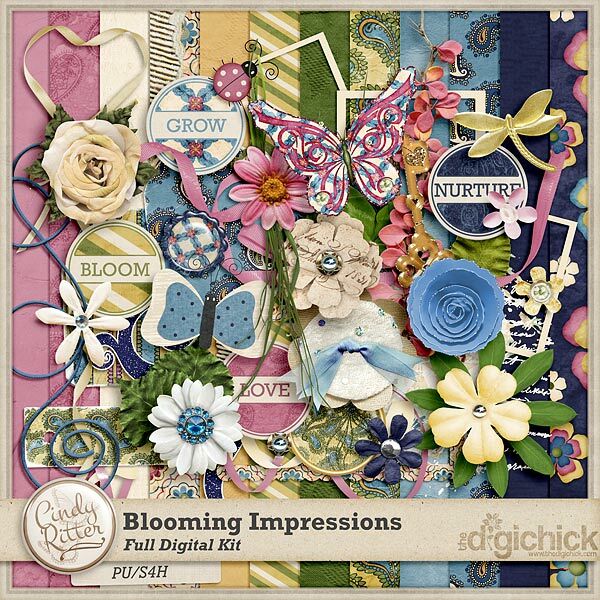 So here we go..
Blooming Impressions is full of beautiful flowers and springtime beauty and spendor perfect to capture your Mother’s Day and springtime photos and memories! 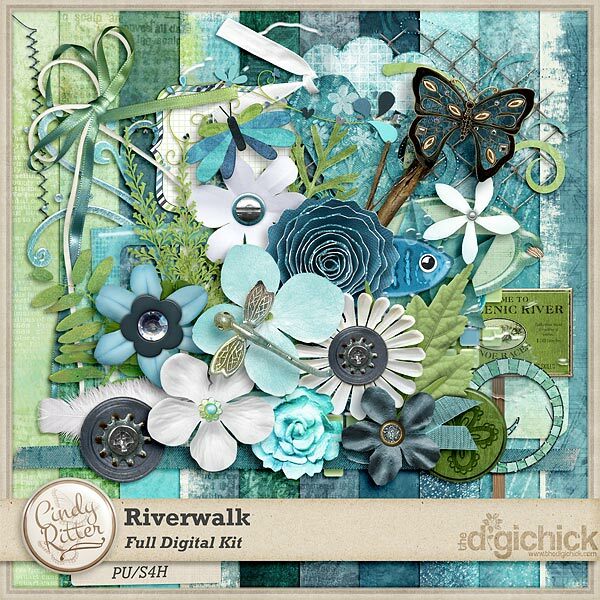 Riverwalk was the first Cindy Ritter kit I had the pleasure of working with and the colors just took my breath away. It is full of gorgeous blues, teals, and greens. You will definitely want to take a closer look at this one. Such a treat for the eyes! We all have rainy days some days whether or not its actually raining weatherwise. This adorable and lighthearted kit reminds us all that the sun will come out again and the rain in our souls and the sky is temporary and this too shall pass. We all need that reminder when we face the rain or stormy weather. I love that frog and the wordart. This kit is just so fun!